Preserving land is as important – or maybe even more so – than back in 1972, when The Conservation Foundation was established. Open spaces and natural areas are critical for people, plants and animals to not only exist, but to thrive. Special places are crucial for our physical, emotional, social and financial well-being. The Conservation Foundation has helped preserve more than 32,000 acres of open space and natural land. One acre is roughly the size of a professional football field, and 32,000 of them is, well, more than 4 entire O’Hare Airports put together. We couldn’t accomplish all of this just on our own. 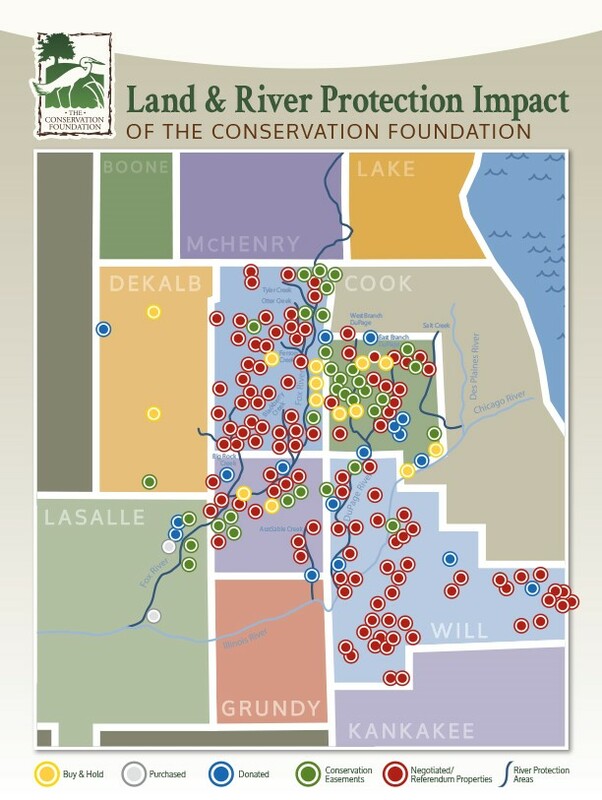 A large part of our work is done by helping others: forest preserve districts, park districts, townships, municipalities, developers. And, of course, the two key ingredients: our donors and landowners willing to preserve their special places. If you’re a private landowner, a public agency, or a developer, find out how we can help preserve your pocketbook as well as the open space we need. Click on the links below to learn more. Read about out new land acquisition in Butterfield! !